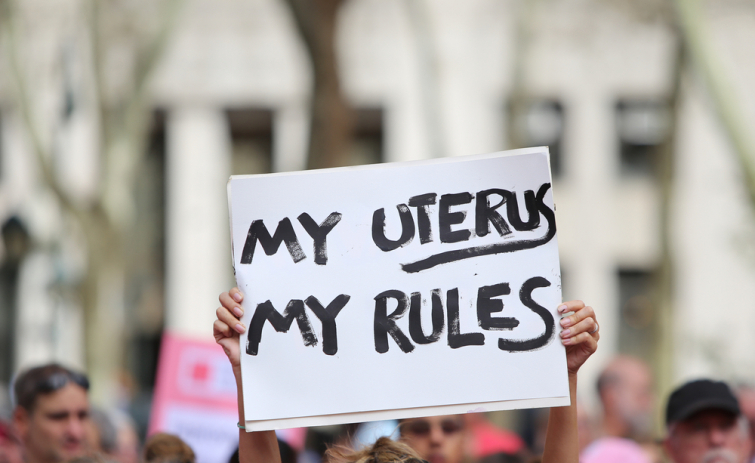 "Late-term abortion has dominated news cycles in recent weeks with the signing of a bill loosening the few restrictions on abortion in New York, in addition to a legislative proposal permitting abortion until birth in Virginia." Brandon Showalter shares the myths that maybe have directed people into justifying Late-term abortion. "Amid massive outcry across the country, many claims about the practice are recirculating. Although President George W. Bush signed into federal law a ban on partial-birth abortion in 2003, which the Supreme Court upheld in 2007, late-term abortions are in fact still permitted in several states. New York has now joined seven other states and the District of Columbia that allow abortion until birth. Here are 3 myths about late-term abortion in the United States. Myth 1: They only occur when the fetus will die anyway or the mom's life is in danger. The idea that late-term abortions happen only when either the mother or the unborn child's life is in danger, or when it becomes known that the fetus has some kind of life-threatening genetic abnormality or disease, is contradicted by abortionists who have admitted performing them on healthy babies. Live Action noted last week that Colorado abortionist Warren Hern has done so for reasons beyond health. third-trimester abortions were committed on babies who were healthy, the pro-life news outlet explained. "Tiller would sign off on girls getting abortions for 'mental health reasons,' such as not being able to find a babysitter, or desiring to attend prom or a rock concert." Abby Johnson, who was once a Planned Parenthood clinic director and whose story of leaving the abortion industry is being told in the upcoming movie "Unplanned," has said that "it is false to say the women who choose late-term abortion do so because of medical reasons." "We referred hundreds of women to abort their babies after 24 weeks … not one was for medical reasons." Myth 2: They are only allowed by law in extreme circumstances. What supporters of abortion rights sometimes assert is that the practice of abortion in the third trimester is only legally permitted in extreme cases. And such abortions are rare when compared to the majority of all abortions performed, they often note. While such procedures constitute only 1.3 percent of abortions, according to a 2015 CDC report, states with liberal abortion laws have Supreme Court precedent on their side. The standard set forth in the relevant high court rulings for when they are permitted is the "health" of the mother, not an "extreme" situation. Roe v. Wade, the 1973 landmark case that legalized abortion nationwide, is the most widely known court decision on the issue, but just as important is a companion case, Doe v. Bolton, that the justices said is to be read together with Roe. In the Doe ruling, the court said that abortions were permitted after the period where the baby could survive outside the womb. Medical judgment as to the mother's "health" was left to a single doctor and could mean "physical, emotional, psychological, familial, and the woman’s age—relevant to the well-being of the patient." With such a loose definition, the practice is thereby permitted under the law for any reason in states that allow it. Myth 3: The Democratic Party's position is mainstream. While pro-life Democrats do indeed exist — two were featured speakers from the podium at the 2019 March for Life in Washington, D.C. — the national party has lurched to the left on the issue, asserting that their view is mainstream. National party leaders have defended late-term abortion in recent years, and president Bill Clinton vetoed bills banning the practice during his tenure in office. Democratic opposition to federal legislation outlawing abortions at 20 weeks remains. "We will continue to oppose — and seek to overturn — federal and state laws and policies that impede a woman’s access to abortion, including by repealing the Hyde Amendment," the 2016 Democratic Party platform stated. The Hyde amendment is a provision barring the use of federal funds for abortions, a measure that has historically enjoyed bipartisan support, but no longer. The Democrat Party's position is extreme compared to the laws in other nations. The United States is one of only seven countries, a list which includes places like North Korea and China, that allows for abortion on demand through all nine months of pregnancy. Every few years since 1996, Gallup has polled Americans on whether they support abortion in the last three months of pregnancy. The opposition has ranged from 80 to 86 percent. The last poll to ask, May 2018, showed that 81 percent of Americans are opposed to abortion in the last three months of pregnancy."